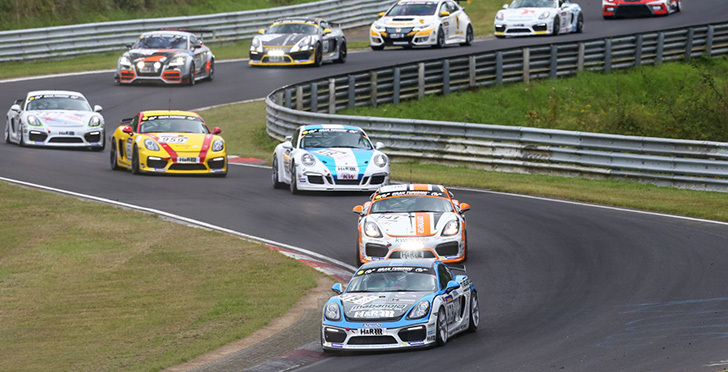 With a well-balanced field and exciting races, the Cayman GT4 Trophy by Manthey-Racing turned out to be a true success and one of the big highlights in the VLN endurance championship Nürburgring. 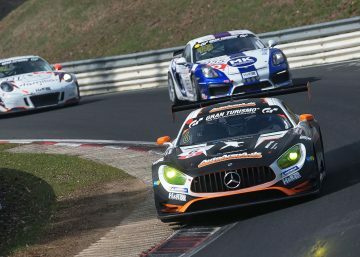 With the 63rd Westfalenfahrt, the one-brand cup will start its second season with plenty of advance praise. 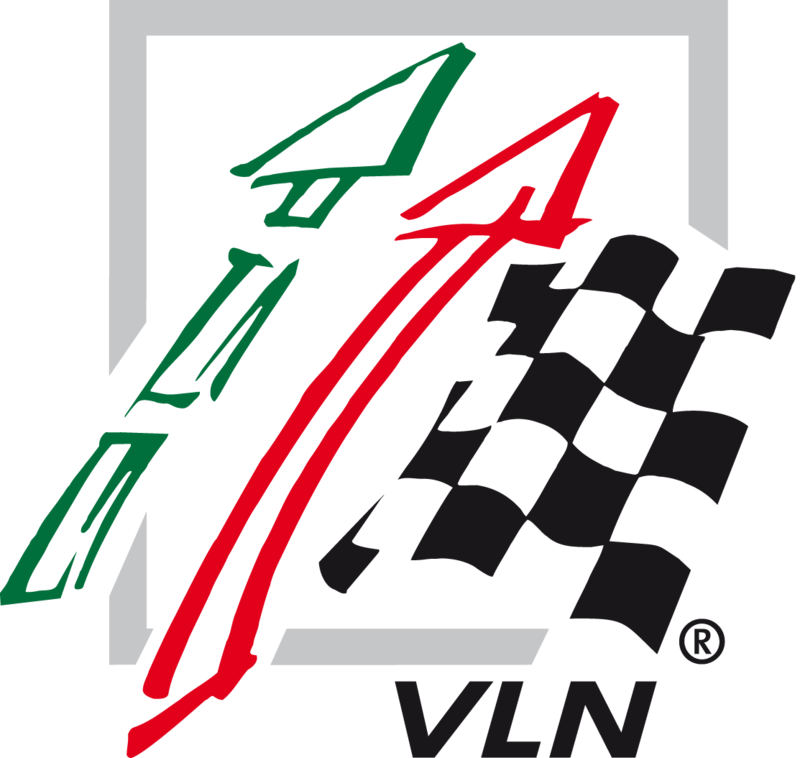 In the new season, the fans will probably experience even more excitement in the cup in which the teams are fighting for a total prize money amount of 80,000 euros with identical GT4 race cars.” With the AM classification which is aimed at amateur drivers only and which is organised in addition to the regular driver and team classification a new element has been introduced. 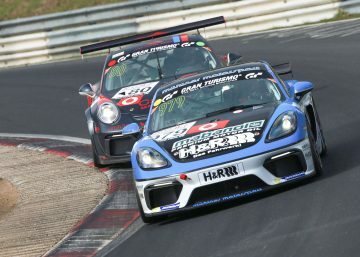 The fact that the Cayman GT4-Trophy by Manthey-Racing is absolutely also suited to boost careers is demonstrated by the example of the current champion Moritz Oberheim. 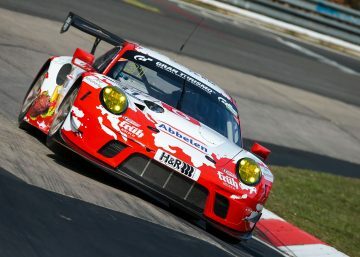 The 19 years old has recently signed a junior contract with Manthey-Racing. The model used in the Cayman GT4 Trophy is the Porsche Cayman GT4 Clubsport. The race car with mid-engine is driven by a 3.8 litres, six-cylinder flat engine with 385 HP; the power is transmitted over an adjusted six-gear dual clutch transmission. The Trophy version additionally comprises motorsport specific safety features such as a 100 litres GT3 fuel tank, Recaro-P1300GT race seats, fire extinguishing system and door nets. There is moreover a spring/damper tuning specifically adjusted for the conditions at the Nürburgring Nordschleife, an air jack system and air conditioning.